What do y'all put in your meatloaf? 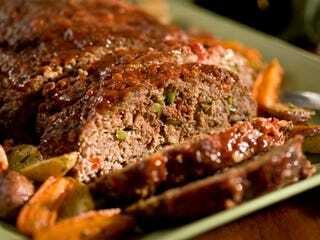 What's your secret ingredient that makes it the best meatloaf ever? Or, if you're not keen on the loaf, or not keen on the carnivore, what are your dinner plans for tonight? Share pics, share anecdotes, share kitchen horror stories! I wanna see it all down below in the comments. This is the Friday night dinner open thread! Love y'all!